Telephone, computer, printer, HiFi, and TV equipment – all these components require appropriate connection facilities. 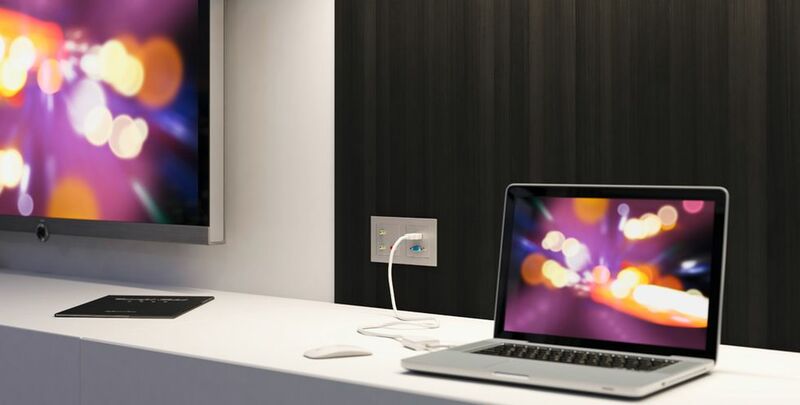 Whether in your home, in office, or in a hotel room – sophisticated connection systems for networking and multimedia provide the right connection. 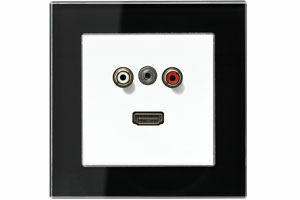 The JUNG switch design smoothly incorporates these connections into the electrical installation. Home cinema, game console, and HD screen have their fixed places at home, while the monitor is used at the workplace and a beamer is used in the meeting room. And the hotel guest wants to connect notebook and digital camera in the hotel room. But how to arrange and combine these units at the desired places in the room without tangling the cables? The JUNG multimedia connection system provides a convincing answer – different components can be combined exactly at the places at which they are needed. Connecting cables are routed “invisibly” in the wall. The system provides connections for analogue, digital, and mobile devices. Convenient charger that can be used as a universal interface for all mobile USB units. Two “portable companions” can be charged simultaneously. 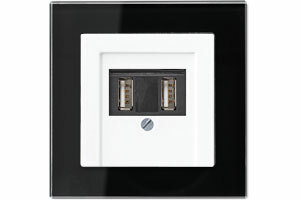 As stipulated by a new EU directive, mobile phones, MP3 players, and other similar equipment will have to be fitted with a USB connector by default in future, you are well equipped with this USB charger. Simply replace one socket, e.g. in a multiple-socket outlet. These are often arranged above the kitchen countertop: When you replace one of the outlets by the USB charger you always may have a look at the charging process and still use the coffee dispenser and toaster. Telephone connection unit, modular jack, ISDN telephone, Internet, and Ethernet: JUNG has the appropriate connection solution for your entire network technology. 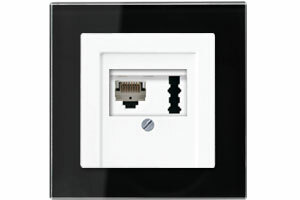 Purposefully combine your network components exactly where you need them – using the attractive JUNG design. Advanced JUNG technology also ensures the satellite and cable reception! 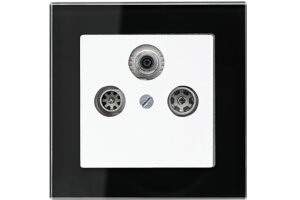 JUNG antenna sockets provide connections for your TV and satellite equipment so that a cosy evening watching TV is ensured.